Back in 1970, there wasn't as much of a need for as many electrical sockets. Each bedroom may have had a socket for a bedside lamp or a clock radio. Nowadays, you are more likely to have two mobile phones on charge, an iPad and a flat screen television and satellite TV box, and the bedside lamp of course. 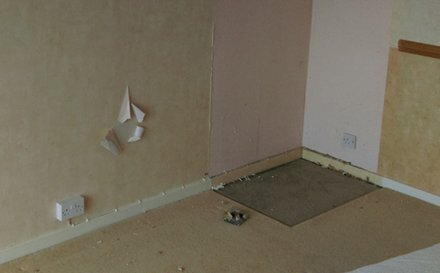 For this client, each single socket was replaced with a double front switched socket. The existing, additional sockets were recessed and fronts were replaced. Further sockets were installed as required. No more block adaptors or extension leads. It's best to do this kind of job before decorating or fitting carpets, however, work can still be carried out carefully around existing furnishings. All electrical installations and alterations were carried out to BS7671:2008 Amendment 3:2015, to ensure its quality and safety. For more information about electrical socket relocation, please call us on 07860 775307 or email info@rst-electrical.co.uk.